As I write this, the webshop for Fyrinnae is open. It won’t be for long… that’s about as certain as death, taxes and all that other stuff. From a convenience and CS point of view, they’re not my favourite company to deal with but it’s undeniable that they make some very, very pretty shadows indeed. Yep, it’s all about the neutrals and purples as far as I’m concerned! If I had to narrow it down to my three most used Fyrinnae shades? I’d say: Knickers in a Twist, Forbidden Lover and Beholder. 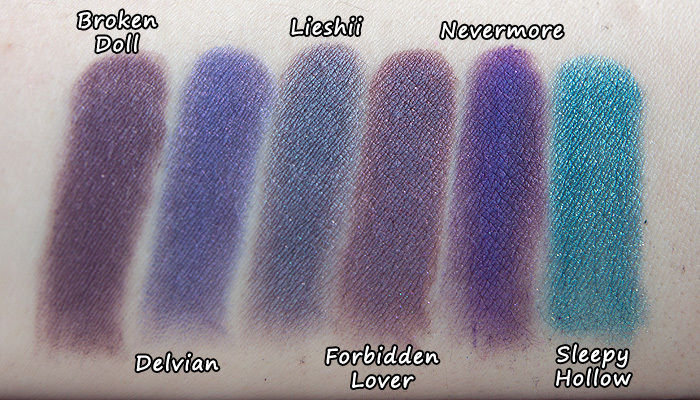 Do you love Fyrinnae? What is your most used Fyrinnae shade? I haven’t tried anything (yet) which is such a shame. But I have a huge wish list, so thanks for swatches! I’d heard rumours that Fyrinnae were closing down, it’s not true is it?! Maneki Neko is a Japanese lucky cat, fact lovers (the kind that waves at you cheerily from shop windows). I haven’t tried anything from Fyrinnae either but it all looks awesome. I’ve heard great stuff about their eyeshadow primer. I’ve never heard of this brand but the colours are so pretty! Looks like they are gone again (already). The web site is empty, nothing on the page. Oh, well, never tried it, so I don’t know what I am missing. Their Pixie Epoxy is the best eyeshadow setter I’ve ever tried. I have hit-or-miss feelings on the shadows themselves; nice colours, but sometimes they apply differently than I expect. They do close often, and I worry that it will be for good sooner rather than later. Yep, down again. Aargh, so annoying, I wanted to check out if they have any new products and order Pixie Epoxy, but every time I go to their website it’s down! I really hope they sort out the issue and keep it up!! Everyone else is lemming it, so why can't I?